HP launches Spectre 13, the world's thinnest laptop. HP today at the New York Times International Luxury Conference raised the bar for the premium PC experience with the launch of the new Spectre 13, the world's thinnest laptop. 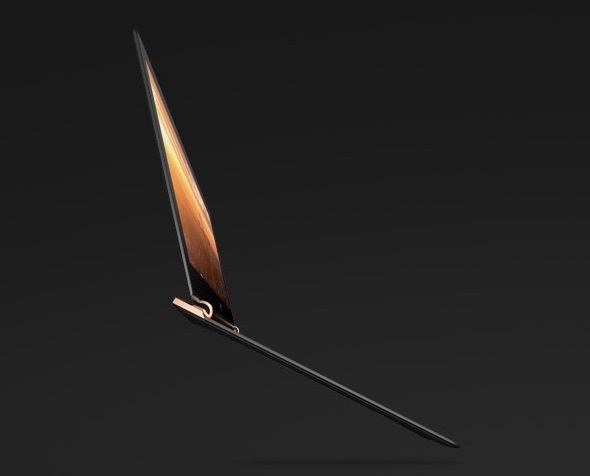 The new Spectre 13's CNC machined aluminum chassis as thin as an AAA-battery at just 10.4 mm and it comes with Full HD 13.3" diagonal edge-to-edge display and Bang & Olufsen sound. Powerful Intel Core i5 and i7 processors on the Spectre 13 deliver superior performance versus mobile processors often used in this class of device.